Disclaimer: The material presented in the page is provided for educational and informational purposes only. 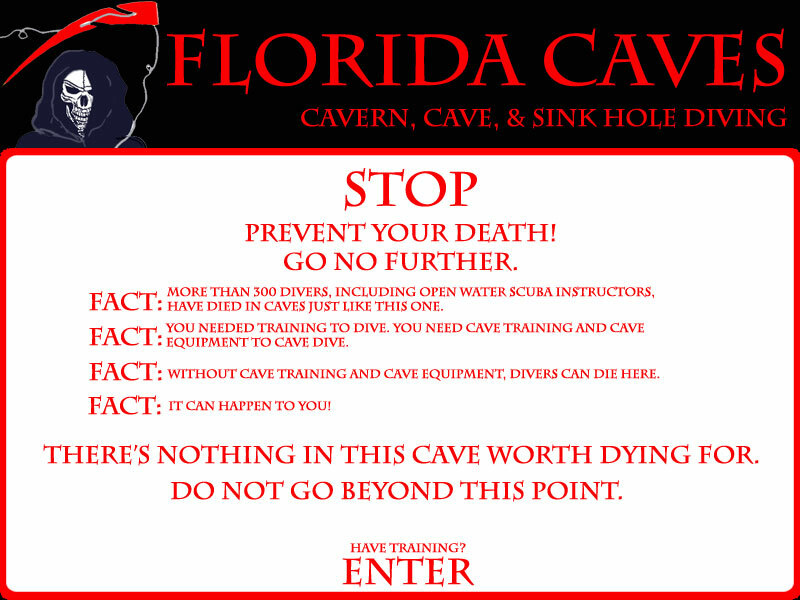 Reading any of this does NOT qualify you to dive these sites. Many sites have low visibility, restrictions, and silt that challenge the most advanced diver. Please obtain the proper training from one of the certifying organizations, like TDI, IANTD,NSS-CDS or GUE, before attempting this kind of diving. If Murphy doesn't get you, Darwin will.